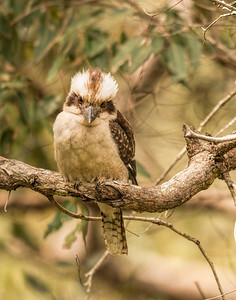 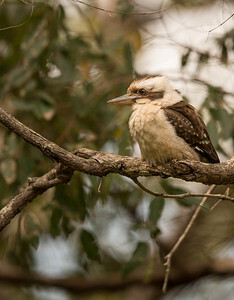 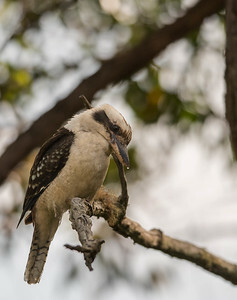 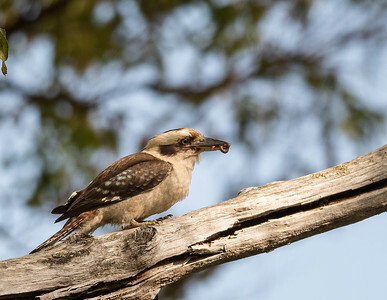 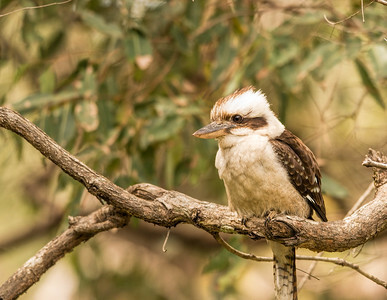 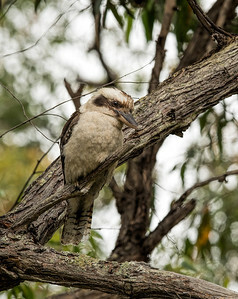 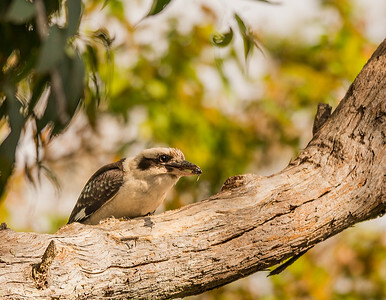 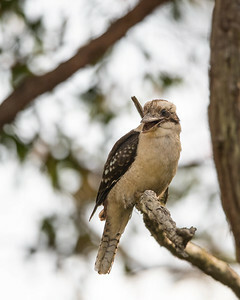 The Kookaburra's "laugh" is used to establish territory amongst family groups. 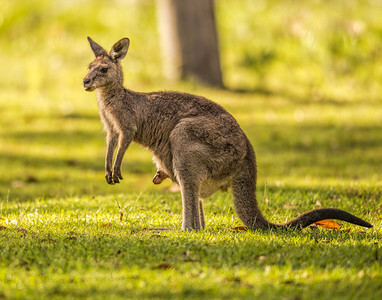 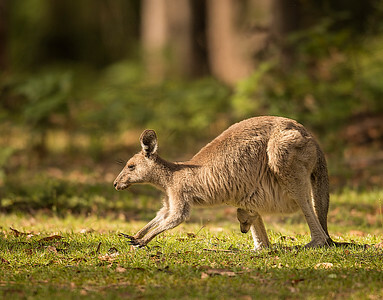 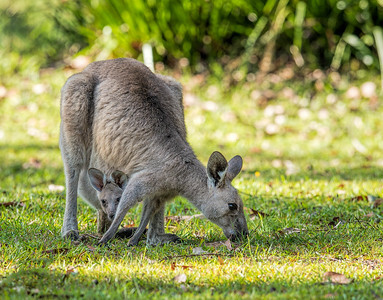 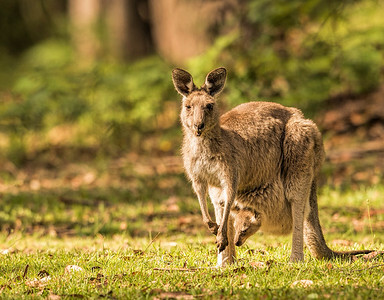 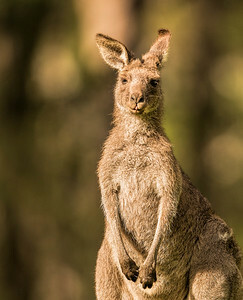 Kangaroos can travel at more than 30 ​miles (48 ​kilometers)​ an hour​. 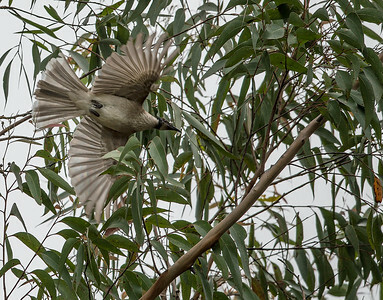 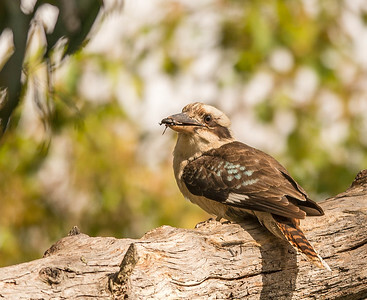 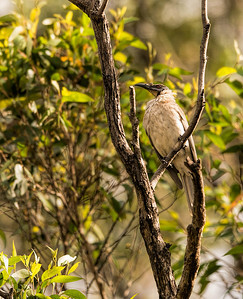 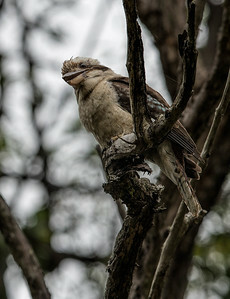 Noisy Friarbird has a featherless black head thus their alternate name "Leatherhead"
Most kookaburras live in family groups, with the young helping the parents hunt and care for the next generation. 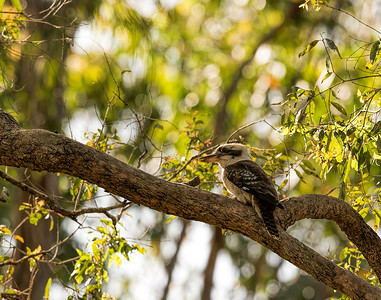 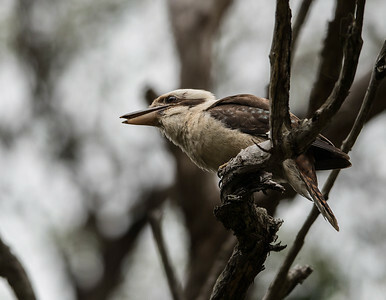 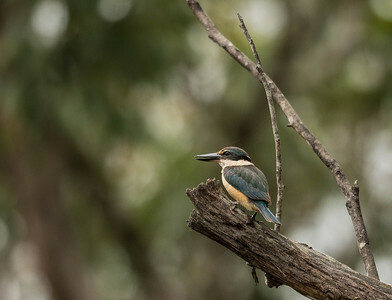 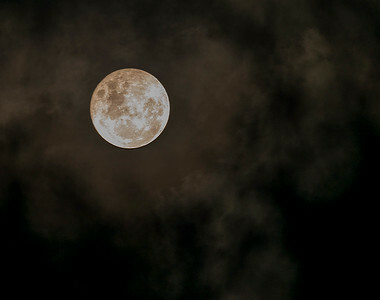 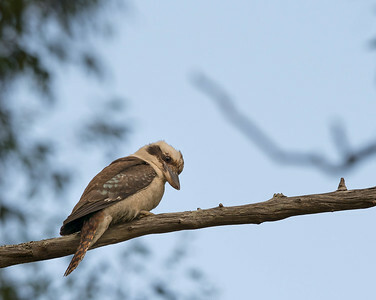 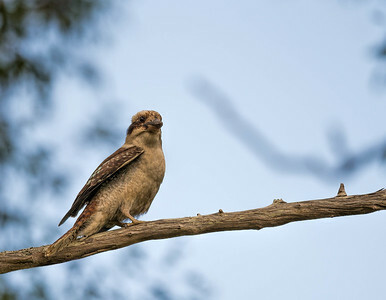 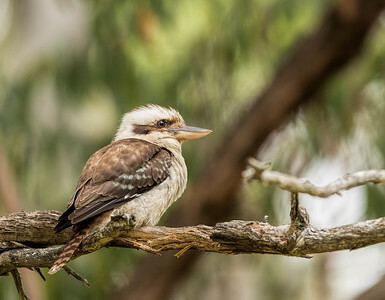 Aboriginal legend is the kookaburra's laughter each morning is a signal for the sky people to light the great fire in the sky.